Our own mortality is not something many of us wish to contemplate in too much detail. 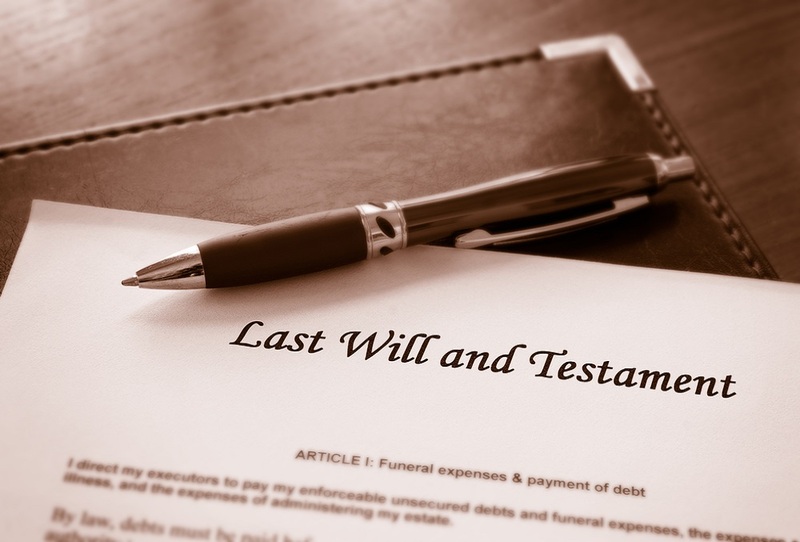 But making a last will and testament is an extremely important step to take if you are going to minimise the impact on your family, business partners and colleagues when that sad day arrives. With this in mind, here are some of the important areas you need to consider when starting the process of creating a will. No-one truly enjoys the thought of making a will, but why let someone else make decisions about your finances after your passing? This is your chance to express your wishes and give your executor a clear plan for how to deal with your estate. As accountants, we look to secure our clients financial future – or in this case the financial future of our clients’ family, their businesses and next generation. And when it comes to making a will, our advice is have the comfort and security of knowing your finances will be dealt with in the way you wanted. And remember that your will doesn’t just deal with your personal finances. It is also important to think about securing your business after your death and ensuring that there are plans in place for succession and handing over the reigns to the next owner. In many businesses this can often be a family member which increases the importance of having clear instructions of your wishes. If you shuffle off this mortal coil without making a will, this is known as dying ‘intestate’. And not having made the requisite will can have far-reaching consequences for those you leave behind. Without a will on your death, your assets are frozen until someone is appointed to deal with their distribution – this will be based on law, not on your preferences. If you are survived by a spouse or civil partner and have no children, your spouse gets everything. If you are survived by a spouse and you have children, your spouse will receive two thirds of your estate and the remaining third will be split equally among your children. If you have no surviving relatives, your estate goes to the State. As you can see, dying intestate is likely to cause problems, arguments and stress for those you leave behind. So taking the time to consider your wishes for your estate, and making a suitable will, is a critical part of protecting your finances and the welfare of those close to you. Deciding how your estate is distributed – by recording your requirements for how your estate is to be divided you can ensure that your wishes are carried out effectively after your death. And you can also take into the account the best interests of your family and avoid any internal squabbles over the distribution of your estate. Deciding who looks after your children – if your children are still minors, you can give instructions in your will as to who will become their guardian and will look after them when you are not around to do so. Finding on the most tax-efficient distribution – there are several taxation thresholds to consider for your beneficiaries (inheritance tax being one of the key taxes to consider). The law around these taxes can be complex in the extreme; for example, the threshold for tax will be different for your sister than for your mother – so professional tax advice is recommended. Minimising the likelihood of legal cases – by having a will in place, you reduce the likelihood of legal action being taken after your death by parties who feel aggrieved from your chosen distribution of the estate. You do have the option to select someone to deal with the distribution of your assets upon your death. This will usually be your chosen executor of the will. Their role is to execute the will and to ensure that your estate is distributed as to your express wishes, as set down in the legal document. Each of us hope that we live a long, healthy and happy life and that our loved ones will be supported once we are gone. By taking the time now to get your will and estate in order you are securing peace of mind for yourself, your loved ones and your business colleagues. By making a choice now, and making it a legally binding document, you ensure that your affairs do not fall into the hands of someone who may have another agenda. If circumstances change, you can change your will whenever you wish; although any changes must be witnessed. It is worth stating that any witnesses you choose must be impartial and may not gain from your will. As such, it is sensible to choose an objective witness, such as your accountant, who can provide that impartiality. As business advisors we strongly advise our clients to consider the arrangements surrounding their will. Making a will is not a significant expense but is the best thing you can do to secure your family’s, business’ and friend’s future and ensure your wishes are carried through once you have passed on. If you want to understand more about how Roberts Nathan can support and guide you on this matter, please contact Gail for a confidential chat about writing a will.